You'd think that planning your destination wedding invitations wouldn't be that hard. You just pick out some really simple or uniquely themed destination wedding invitations, write out all the necessary info, and boom, send them off. Right? Not exactly. Unlike a typical, local wedding, destination weddings have a few differences that need to be taken into etiquette account when preparing your destination wedding invitations. And this post will explain you all of them. We'll be covering not just the proper etiquette for invitations themselves, but also for the save-the-dates and any extra information cards you may want to include with your mailings. You can always send out save-the-dates for destination weddings if you want to -- they're not restricted to traditional weddings. In fact, save-the-dates are probably one of the best decisions you could make for your destination wedding. Sending these up to a year in advance (and only to the same people you're going to invite to the wedding) will help ensure your guests have ample time to ask for time off work and start planning their trip. To help your guests out even further, make sure you add specific location information, and not just the country/region you plan to get married in. List the specific ceremony and reception venues so guests will be able to figure out if they should go barefoot on a beach or close-toed through mountain crags. You could even provide the name(s) of any travel agents you recommend. Finally, if you're not one to waste paper, feel free to send a virtual save-the-date ecards or even just an official email from your own inbox. This is 100% acceptable especially if you're having a smaller wedding with only close family and friends. Typically, wedding invitations go out six to eight weeks before the big day. However, that's cutting it close for the couple getting married far away. Send out your destination wedding invitations at least three months before your wedding. Some couples even choose to send anywhere from 12-6 months in advance, but this isn't necessary if you've already sent a save-the-date. Basically, the sooner you get your destination wedding invitations out, the better. Though etiquette suggests three months, if you feel they need to go out sooner, go ahead and send them. Some experts warn not to send invites too far in advance in case the guests misplace the invites and forget about booking travel, but you can do what's best for your situation. If you do send out wedding invitations really early, just make sure you send a follow-up reminder email or note at the 3-month mark. Destination weddings come with a lot of extra information compared to a "regular" wedding. How do you figure out what to put on them to make sure guests get the information they need? Always aim to be thorough while avoiding overwhelming your guests with details. This means you'll include all the typical and necessary information on the main invitation itself (date, time, specific locations, attire desired, etc.). Save the details like maps or surrounding events (like any pre-wedding parties or excursions) for additional card inserts or for your wedding website only. Don't forego the wedding website, either. It's much easier for guests to visit your website for further information than try to keep track of an invitation with tons of separate pieces of paper and information in them. Finally, have fun with how you write your invitations! You could stick with the traditional "Mr. & Mrs. Johnson request your presence at the marriage of their daughter...", or you could do something completely different and write a short poem, for example. Destination weddings are fun alternatives, so even if yours is going to be formal, don't hesitate writing catchy, compelling invites that will convince your guests they have to be there on the big day! And don't forget to request an RSVP that's early enough for you to lock in discounts and catering with your destination vendors and venue. Most couples have to deal with the issue of telling guests about attire, children, gifts, "plus ones," etc. This isn't any different if you're getting married away from your hometown. -- Attire can be important to creating the mood of your wedding, destination ones especially. If you don't want guests showing up shorts, clearly state "formal attire requested" or something similar on the invite, additional card, or your website. -- Not having children at your wedding? Make sure to only address the invitation to the adults in the family and maybe write something like "Rooms can be reserved at the all-inclusive, adults-only resort." Some people still won't get the hint, so make sure to stay firm in your decision and let them know you won't have activities or babysitting planned for children. -- Sometimes couples don't want wedding gifts from their guests because they know their wedding destination will be expensive. To indicate this, you can easily write "The honor of your presence is the only gift we require" on your invitations or additional cards/website.If you're still expecting gifts, make sure to give an address guests can send them to so they're not hauling all your gifts across the country or world in their suitcases! -- Guests will sometimes try to invite their own guests, even if you've addressed your invitations very specifically. In this case, the fault is on your guests, but you still need to treat them with respect. Indicate the wedding is very small for close relations only, or that the hotel can't accommodate more people during the ceremony and reception, for example. Be honest, but not rude! As you can see, there's a lot more to do with planning your destination wedding invitations than it would seem at the start! How to word your invitations varies as does the dates you send everything out. However, once these changes are made, you can look forward to seeing the smiling faces of your guests at your wedding! 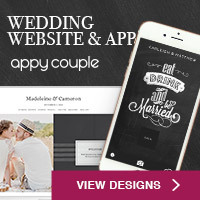 How do you think you'll tell guests about your wedding's details, additional cards or a website? Why?